Rob Daniel & Rob Wallis do an early morning post-Oscars review of this year’s ceremony. 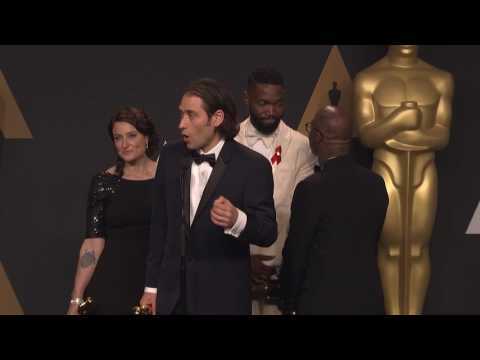 The highs, the lows, the biggest gaffe in Oscar history, we chat all about it here. Jimmy Kimmel did a great job, the Celebrity Zoo was a bizarre misfire, and damn… that ending. May all Oscars be this exciting! The lowdown: Sly gets the band back together for another no-brow barrage of (old)boys and their toys mayhem, joined by newcomers Wesley Snipes, Antonio Banderas, Kelsey Grammer and Harrison Ford. But, it’s Mel Gibson who steals the show as a big, bad international arms dealer the over-the-hill action men must bring down. A Christmas Story. It’s A Wonderful Life. The Muppet Christmas Carol. Home Alone. There are movies infused with holiday spirit that make the sleeps until December 25th more bearable. Instead, we present our favourite movies that take a warped look at the most magical time of the year. And we’re not talking Gremlins or Die Hard. Below we have home invasion, murderous tots, Christmas Eve police brutality, Yuletide demons, and attempted suicide in front of a silly season Looney Tunes cartoon.